The prologue opens up with the preparations for one of the historic function to be held at Salistonia. The book starts with the story of sleepyhead Manav and a pessimist Aditi. Boredom forced them to accompany each other but in no time, their friendship bloomed to love which left unsaid. Then they both parted ways but their bond didn’t. Further they were engrossed with their new found friends unaware of the consequence awaiting in their way which was cruel enough to murder anyone. Meanwhile, Salistonia was at its peak in the preparation for the celebration and the human death at the last day of celebration was indispensable. 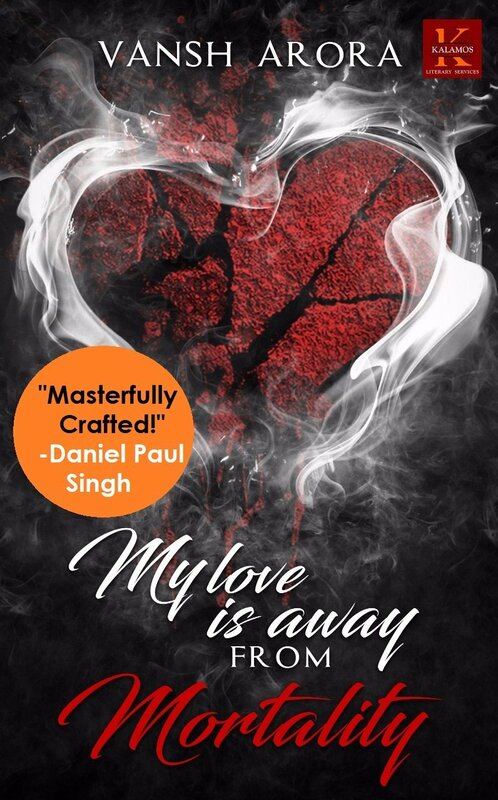 Further, the book is built on with the answers for how is the world of evilness (Salistonia) related to the undecipherable love story of Manav and Aditi?? And how they won all the battles to make their love immortal. The story is not just another school romance but the author has made the plot interesting with the dark secret smitten by horror. The first 25 chapters were dragged a bit long, after which the city of Salistonia was introduced. The last chapters didn’t fail to hook the readers to the book with the unexpected twists and turns. The captive narration and the lucid language makes the book an easy read. The book also had some editing errors but the plot overlooked it. A unique storyline but the story of Manav and Aditi overlooked the horror filled Salistonia story (which held my utmost interest). The story wasn’t well connected and some questions are left unanswered like What about the war declared at Salistonia? What was the secret future plan of Harsh? Why Kiara didn’t tell Aditi about the letter at the earliest?? (Wish I could find my answers in the next part). The cover page is dark yet eye catchy. The title gives an insight of what’s hidden in the book. The blurb could have been still furnished. Overall, the book is an enticing read with unexpected twists. Awaiting for the next part.